The Exigo Lateral Raise uses a natural pivot motion to target the lateral deltoids. Featuring an adjustable seat and cushioned elbow support. Featuring a natural pivot motion to effectively target the deltoid muscles, particularly the lateral group. 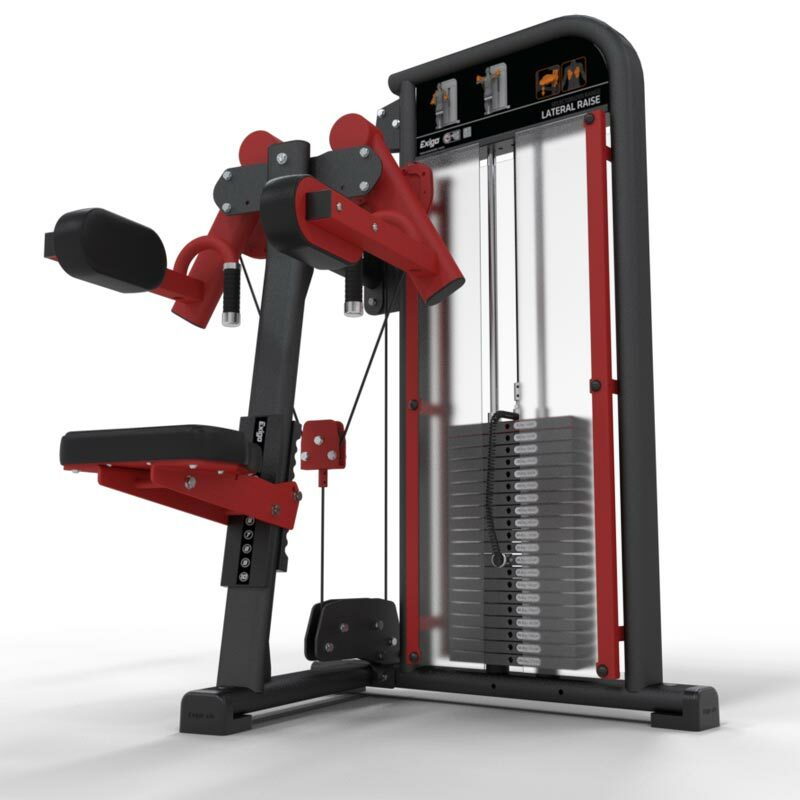 The Exigo lateral raise is a worthy addition to any gym and features premium, adjustable seat and back rest and small increment (5kg) adjustments for a wide range of intensity and user profiles.